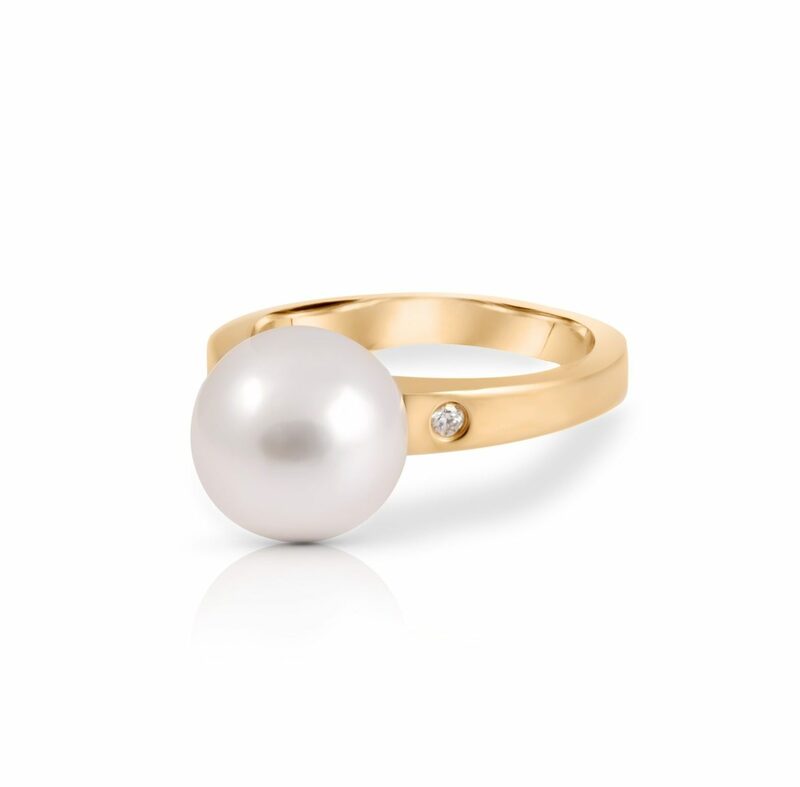 An 18k yellow gold diamond and South Sea pearl ring. 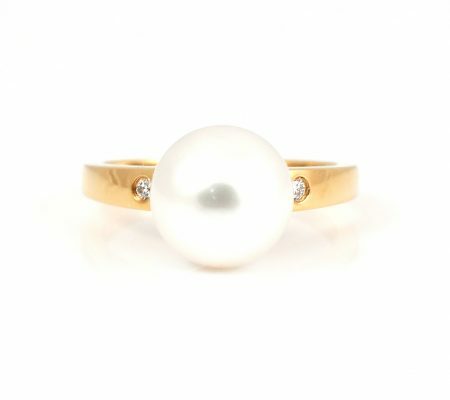 Centrally set with a 10mm South Sea pearl which is flanked by two hammer set round brilliant cut diamonds on the shoulders. Looking for a bangle to match? We recommend this beautiful hammer set diamond bangle to compliment the ring perfectly. See details here.